US employers add robust 304K jobs; joblessness up to 4 pct. 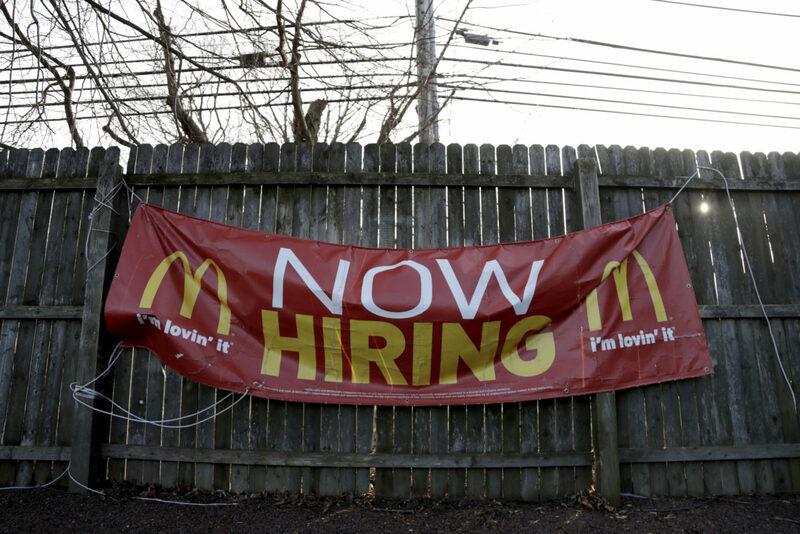 WASHINGTON — U.S. employers shrugged off last month’s partial government shutdown and engaged in a burst of hiring in January, adding 304,000 jobs, the most in nearly a year. The healthy gain the government reported Friday illustrated the job market’s durability nearly a decade into the economic expansion. The U.S. has now added jobs for 100 straight months, the longest such period on record. The government also said the unemployment rate rose to 4 percent from 3.9 percent, but mostly for a technical reason: Roughly 175,000 federal workers were counted as temporarily unemployed because of the shutdown. Job growth in December was revised sharply lower, to 222,000 from a previously estimated 312,000. Still, hiring has accelerated since last summer, a development that has surprised economists, because hiring typically slows when unemployment is so low. The solid jobs report provided a note of reassurance that the economy remains mostly healthy and likely to shake off any effects of the shutdown. The shutdown will probably end up slowing the economy’s growth for the first three months of the year. The nonpartisan Congressional Budget Office estimates that it lowered annual growth for the January-March quarter by about 0.4 percentage point, to a rate of 2.1 percent. Thousands of government workers who missed two paychecks slowed their spending. The federal government itself also spent less. In addition, many businesses across the country lost income. Tourists cut back on visits to national parks, for example, thereby hurting nearby restaurants and hotels. Yet even employers whose revenue dropped likely held onto their workers during January. With unemployment so low and many companies struggling to fill jobs, layoffs might not have been widespread. Data from the employment site Glassdoor shows that the number of job postings rose nearly 9 percent in late January compared with a year earlier, suggesting that demand for labor remained strong. Fed Chairman Jerome Powell this week cited the weaker global economy as a key reason why the central bank will be “patient” before it raises its benchmark interest rate again. That was a sharp turnaround from January, when Fed policymakers forecast two additional hikes for this year.